Want to be a vet? To grow your career as a professional vet, you need to arm yourself with proper knowledge and skills. Veterinarians are the professionals who look after the well-being and health of animals. Their jobs consist of diagnosing, treating and helping the animals to prevent them from diseases. To say it in simple words, vets are the animal doctors. Just like other medical profession, in this field too, there are various branches or departments. Vets have to concentrate at least on one of the fields such as, horses, small animals or livestock. There are some vets who show their interests in surgery, dentistry, and medicine, etc. To get established as a reputed vet, you can get enrolled in veterinarian courses that are available in affordable rates. To be a successful veterinarian one need to keep themselves up-to-date with the latest developments made in scientific and clinical fields. And that can be possible if they keep on engaging themselves and participate in educational activities, like veterinary vocational training packages, attending in workshops, etc. And if they want to specialise in certain animals, they have to do separate courses, like equine veterinary courses, etc. Attending the workshops is a great way to practice the skills they have learned in that training and workshop. Add to that they get chances to meet with experienced and renowned vets of different fields and know their work skills. It’s a great way to get one-on-one tuition and be master in new skills. Australia is very famous in organizing such kind of vocational training courses. What one gets to learn in Veterinary Science? In this course one learns about all kinds of animal species and later they are given the opportunities to acquire clinical experience. Different universities have different course plan. Therefore, it is very important for you to take out all sorts of information of various universities. 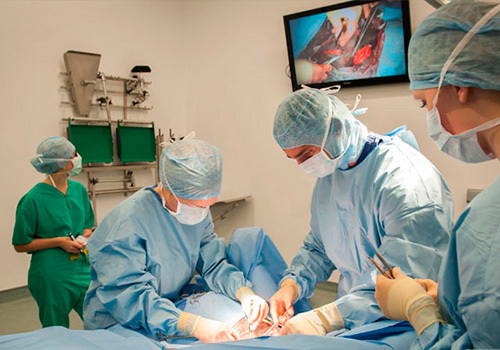 To get the veterinary science degree, it generally takes 5-6 years of study, but it depends from which university you are doing your course. If you are a student of high school and holds interest of becoming a professional veterinarian, then it is advisable for you to contact the university to get to know more information on the criteria and the marks needed for admission. Seats are very limited in this course, so it is better to start planning ad prepping up before time as well as opportunity runs out of hand. After you become a graduate you have to register with the veterinary registration board of the state where you want to practice. By doing so, they will provide you with the license to practice in the state.